Do you know the why your employees are dissatisfied? Knowing what makes employees unhappy is half the battle when you think about employee work satisfaction, morale, positive motivation, and retention. By listening to employees and providing opportunities for them to communicate with company managers, you can foster a positive work environment where production rises along with morale. HR Solutions Inc., a Chicago-based management consulting firm that specializes in employee engagement surveys, analyzed recurring themes in employee surveys and compiled a top 10 list. The job satisfaction study included more than 2.2 million respondents with 2,100 organizations representing various industries. How many of the top responses are true in your workplace? Pay is the number one area where employees seek change. You can foster a work environment in which employees feel comfortable asking for a pay raise. It helps employees feel that they have recourse when they are feeling underpaid. Employees are concerned particularly with pay compression, the difference in pay between new and longer-term employees. With the average annual pay increase for employees around 2-4 percent, some employees perceive that newcomers are better paid—and, often, they are. Remember that employees have every right to discuss pay, even if employers wish they didn't. Specifically, many employees feel their health insurance costs too much, especially prescription drug programs when employers pass on part of their rising costs to employees. Employees want comprehensive benefits at no extra cost. Workplaces that foster employee empowerment, employee enablement, and broader spans of control by managers will see fewer complaints. A popular word—micromanaging—also expresses this sentiment. Employees believe the compensation system should place greater emphasis on merit and contribution. Employees find pay systems in which all employees receive the same pay increase annually to be demoralizing. Such pay systems hit the motivation and commitment of your best employees hardest as they may begin asking what’s in this for me? A transparent system wherein employees know what merit increases are based on also is important. As you adopt a merit pay system, one component is education so that employees know specifically what behaviors and contributions merit additional compensation. Employees who do not meet the standard must be informed by their manager about how their performance needs to change to merit a larger pay increase. The Human Resources department needs to be more responsive to employee questions and concerns. In many companies, the HR department is perceived as the policy-making, policing arm of management. In fact, in forward-thinking HR departments, responsiveness to employee needs is one of the cornerstones. Employees want the perception that each employee is treated equivalently with other employees. If there are policies, behavioral guidelines, methods for requesting time off, valued assignments, opportunities for development, frequent communication, and just about any other work-related decisions you can think of, employees want fair treatment. Employees want face-to-face communication time with both their supervisors and executive management. This communication helps them feel recognized and important. And, yes, your time is full because you have a job too. However, a manager’s main job is to support the success of all his or her reporting employees. That’s how the manager magnifies her own success. 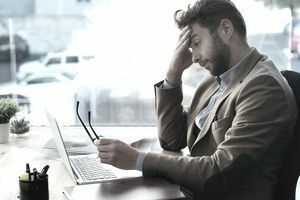 Departments are understaffed, and employees feel as if their workloads are too heavy, and their time is spread too thinly. This complaint becomes worse as layoffs, the economy, your ability to find staff, and your business demands grow. To combat this, each company should help employees participate in continuous improvement activities. Employees want a clean, organized work environment in which they have the necessary equipment to perform well. They appreciate not having to share or borrow or bring equipment from home more than you will ever know. Is Displaying Favoritism to Certain Employees in the Workplace Illegal?